The Gaze installations relate most clearly to the current preoccupation with beauty and our aversion to the aging process. 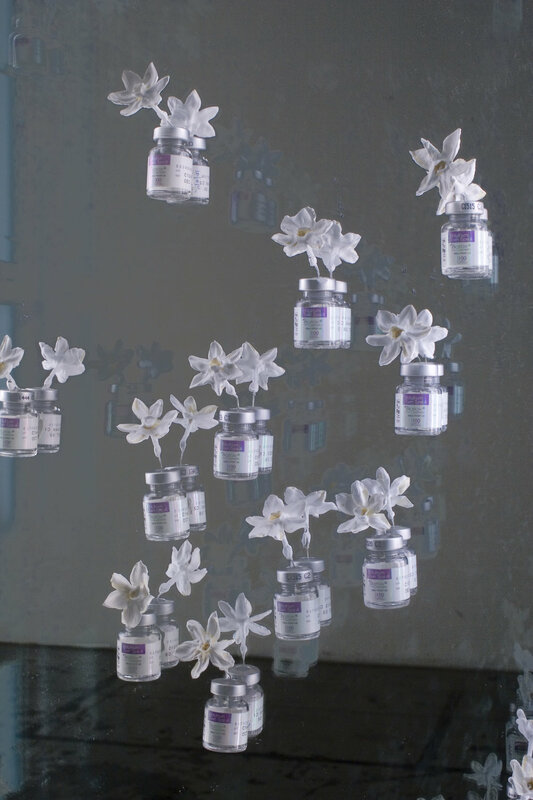 In Hovnanian’s mirrors, wax coated narcissus blossoms float in miniature vases made from Botox bottles. The Gaze acts as multi layered portraits, appearing at first to be a mirror referencing the universal compulsion to look at one’s reflection. 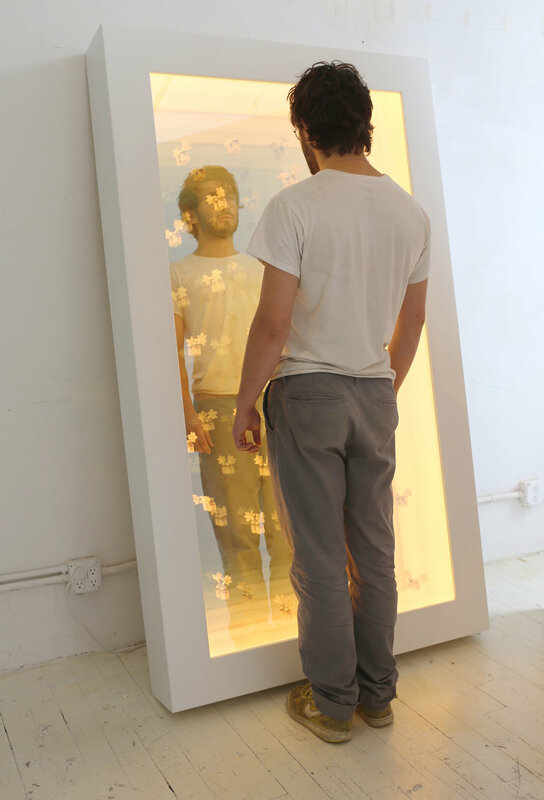 The work explores the myth of Narcissus in terms of memory, identity, and loss. This series of works captures the essence of the narcissus flower, a fragile bloom whose symbolic associations are central to the history of art.